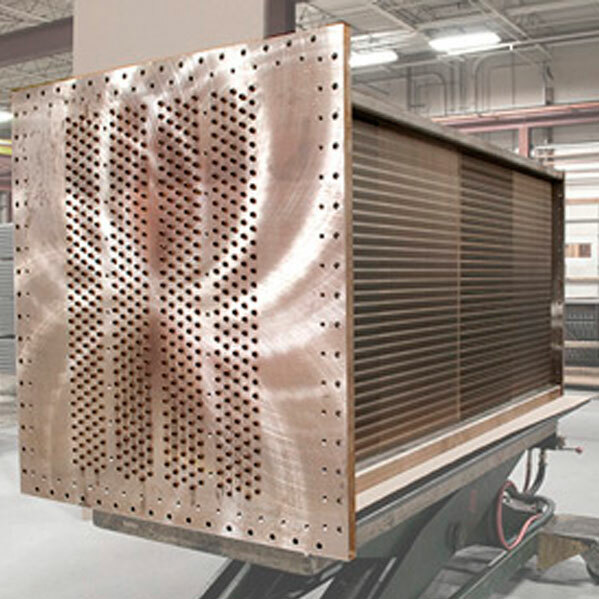 Combining the durability, corrosion resistance, and heat transfer capability of copper with the cost effectiveness of aluminium fin, Air Radiators’ coil heat transfer surface offers a high value for money solution in stationary cooling applications. 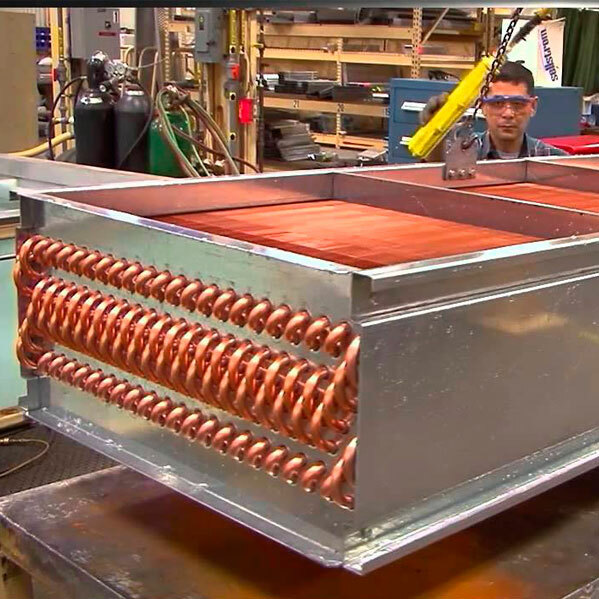 Deriving from air conditioning condenser and evaporator applications, the coil product easily handles high pressure and high thermal cycling applications. Customized circuiting maximizes the performance of the cooling loop allowing flexibility for use with low flow charge water circuit right through to the highest flows offered by the largest of reciprocating engine water jackets and other applications. With coil lengths through to 11 meters in a single piece panel, the minimization of joints and interconnecting plumbing reduces installation costs and offers a more reliable system with fewer potential leak paths.